Our fully furnished student rooms are ready to move your things straight into, with plenty of room for your home comforts to help you feel at home in no time. All rooms at Don Gratton House have their own private en-suite giving you that extra bit of privacy. The on-site facilities are there for you to make the most of during your stay including the large common room which is ideal for spending time with friends or movie night, the outdoor space and on-site laundry room. The friendly staff are on-site 5 days a week to help with any queries you may have during your stay. 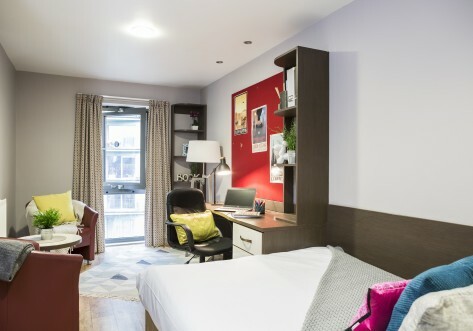 During the summer, we will be upgrading all rooms at Don Gratton House to include comfy double beds and new desk areas to make the rooms even better, ready for the start of the 2019/20 academic year. 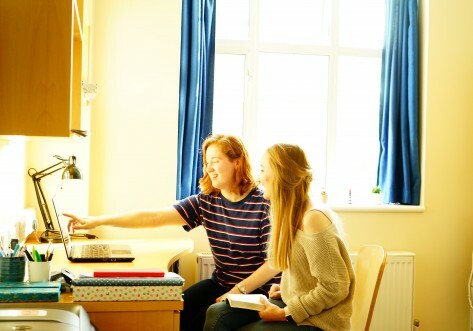 At Sanctuary Students, we see ourselves as more than just an accommodation provider, we want to make sure you enjoy your stay and your time at university. Our events calendar is jam packed throughout the year from welcome parties to pumpkin carving competitions and exam boost breakfasts to free things Friday. Located in zone 1's Whitechapel, Don Gratton House sits in London's vibrant East End, close to the famous Brick Lane and is a great place to enjoy your university experience. You will find Aldgate East and Whitechapel underground stations within walking distance, helping you get out and about in London with ease. These stations put the District, Hammersmith & City and Overground lines less than 10 minutes walk away. 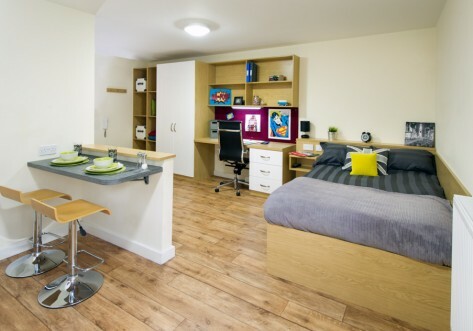 These great value rooms have a comfy double bed with a private en-suite bathroom, a double wardrobe and study space too. These rooms are part of a flat with six or seven rooms per flat with a shared kitchen and dining area – a great place to catch up with your flat mates. Secure your room for 2019/20 for just £1!